Latin America is one of the most diverse but also vulnerable regions in the world that is under continuous anthropogenic pressure due to increasing urban, industrial and agricultural developments. Although there are many research groups studying the impacts caused by those pressures, the results and conclusions obtained by many of them are largely unknown because their studies are mostly published at the local or regional scale. Ecotoxicology in Latin America represents an effort to collect and share research performed in Latin America in the area of ecotoxicology and environmental risk assessment, presenting a collection of relevant and innovative studies focused on the following topics: (i) Contaminant entrance, transportation, distribution and fate; (ii) Environmental risk in freshwater ecosystems; (iii) Ecological risk in coastal zones; (iv) Biomonitoring programs: water, sediment and air; (v) Physiological effects and biomarkers; (vi) Soil ecotoxicology; (vii) Bioaccumulation and human risk; (viii) Toxicity of emerging contaminants; and (ix) Frontiers in Ecotoxicology. This selection of topics aims at covering the most important subjects and applications of ecotoxicology, including classical and novel subjects. Therefore, this book contains chapters related to different environmental compartments prone to contamination (water, sediment, soil and air), to different contamination sources (agriculture, industry, urban discharges and natural emissions), and to multiple biological responses at different organizational levels (individual to ecosystems, including human beings). It is envisioned to have an international projection within and beyond Latin American countries, as it is a great opportunity to increase the networks not only among Latin American research teams working on similar subjects, but also with teams from other regions. The idea of this book was to favor the connection among groups to quickly improve the development of methods and their application in ecotoxicological and environmental risk studies in Latin America. This book will be useful to important sectors of environmental sciences and related areas, and to specific target demographics such as students and researchers acting in environmental studies, and decision-makers (i.e., politicians and environmental organizations). 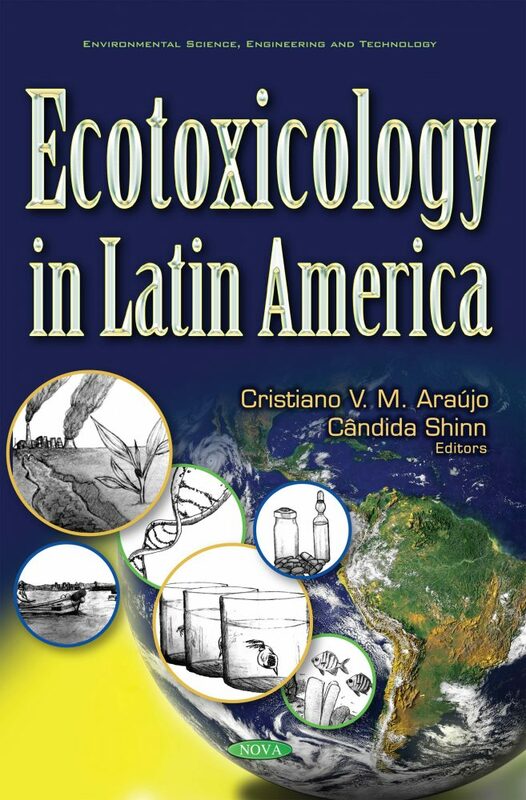 Ecotoxicology in Latin America presents 34 chapters authored by 111 researchers from 12 Latin American countries (Argentina, Brazil, Chile, Colombia, Costa Rica, Cuba, Ecuador, Mexico, Panama, Peru, Uruguay, and Venezuela) and from 6 non-Latin American countries (Austria, Belgium, Italy, Portugal, Spain, and USA). The book will be useful to sectors of environmental sciences (and related areas - agriculture, biology, chemistry, ecology, environmental engineering, hydrology, limnology, oceanography, soil sciences, public health and others) and to the target public such as students (under-graduate students, and Master and PhD degrees), researchers acting in environmental studies and decision makers (politicians and environmental organizations).